Today I awoke with an interesting thing on my Facebook timeline. Epic Armory invited me to like their page. Now, ordinarily this would mean absolutely nothing. And to be fair (I’m very fair) it may have meant nothing. However, due to what has occurred over the past few days it felt to me, an odd thing to do. Let’s back track shall we? A few days ago in a group for larpers of color, a video was posted. The video, which was from Epic Armory a larp weapons company, showed three White stuntfolk using the company’s new “Asian” line. The products itself appear to be quite lovely. Epic Armory makes great gear. I myself own their products and appreciate them. The problem was that the video dressed up three White stunt choreographers and used copy like “exotic”. There were no Asians in a video marketing an Asian line. Also, despite Asia being massive, the pieces they showed were mostly Japanese and the characters had Japanese names. The way it was shot, read Japanese. Even the music chosen. Asia is massive and includes India, China, Korea, Sri Lanka… Needless to say, this was a misstep. A Massive one. One that a cultural consultant could have fixed. Before the first apology happened, I chimed in. I was not pleased at all. Frankly, I said the video was a mess. It was a mess. I have no fear of telling a company I give money to that I won’t be supporting them because they were a mess. Epic Armory, realizing that perhaps they had a growing storm on their hands, released an apology. That apology had a few flaws, but could have been worked with, and showed the company was at least going to try and understand. To be honest, I (PoC are not a monolith, I can’t speak for others) would have probably been happy to work with them. One of the constant comments from people upset with people of color for speaking up, spoke about how they thought that Epic Armory should stick to their guns, and that larp had no color. Larp *does* have color, and often cultures are mined in disrespectful ways in order to produce fantasy. It’s upsetting, because these people are not only real, but they suffer from the negative portrayals that they are often given. Orientalism is a thing, and it isn’t pretty. Asian people have been whitewashed, exotified, and fetishized. Must Larp do it too? Also, must they call Asian people “exotic” as copy? That’s pretty ridiculous. Sometimes negative stereotypes can be consistently reinforced through lazy research and representation, and that is racist. Now, no one likes to be called a racist. That’s true. However, you can come back. All you have to do is learn, and gain some empathy. You have to try. No one is trying to take away larp from anyone. We’re asking you to see us as human and deserving of respect. Listen to the people who have written to you. And for a brief moment, it looked like the company was going to learn from the mistake and try. Until one of their employees decided to chime in. One of whom personally went right to me. My comment is at the top. Now, as you can see. Perhaps that’s not what you want to say to a customer. Especially not after your company has put out an apology. Or is saying they’re going to rethink things. Perhaps, the company of stunt folks shouldn’t have responded in a post that mentioned “Paying our mortgage was more important than your identity politics”. Perhaps they should have stepped away from the internet and taken a deep breath. So, I asked my friends to stop buying Epic Armory, because if this was how folks felt when PoC speak up then we shouldn’t have to give them our dollars. Pure and simple. I wasn’t the only one. Several friends spent a lot of their time (as usual) trying to explain to other people why this was an issue. In fact, they still are. It’s pretty exhausting. See that comment after his? That the particular person didn’t know any Asian larpers? Well, that may be true for him, but certainly not for me. There are Asian larpers, Indigenous larpers, Black larpers, Latinx larpers… Folks from so many places larp. 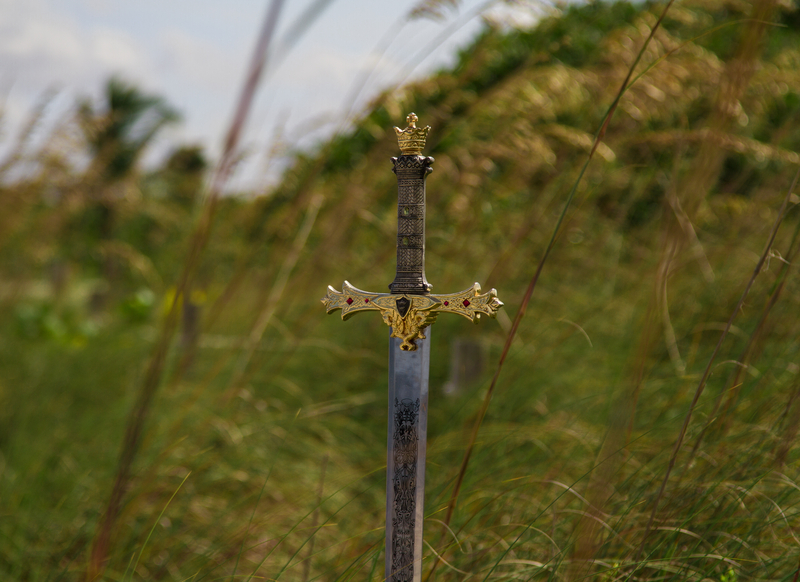 We all use larp as a way to create stories, learn, gain empathy, interact with each other, and sometimes…to escape. As a person of color it is mighty hard to escape. When we are confronted with missteps and attitudes like this, it feels like we can’t even enjoy a past time with our friends without being devalued. It’s frustrating. No one is trying to make sure that we strip every single larp world of different real world cultures. PoC aren’t here to take away people’s happy past time. We’re here to say it is our pasttime too, and we’d like to not be a prop. Included yes, but respectfully so. If larp is supposed to be for everyone, then it needs to be for everyone. Imagine a video with several different ethnicities showing off Epic Armory’s lovely lines. Folks might have been floored to see a variety of people debuting a line from their “World Collection”. In that collection there could have been weapons designated by cultures. Japan. China. Middle East. Central Asia. North Africa. West Africa. Celtic. Nordic. Germanic. Stop erasing people, and start including them. It’s not as hard as you think. The good news is that Epic Armory not only stood by their original apology, but they improved it. The head of the company Rene Vendt, posted a video to their Facebook page that talked about some of the next steps they were thinking about. It made me feel a lot better, almost like Epic Armory was beginning to understand and listen. I still have a few concerns, but the new video does let me know that the higher ups are listening. To me, that is not only important, but appreciated. In the end, we all want to be included and respected, and we all want to play. OFFICIAL STATEMENT FROM RENE VENDT, CEO & CO-FOUNDER OF IRON FORTRESS:Firstly, all comments of our employees, partners, and other associated members are personal opinions and do not reflect the opinion of Iron Fortress. Please note that THIS is our official statement.The reactions of our recent 'Asian Universe' video came as a surprise to us, and as the CEO, I must take full responsibility. I am sorry. We never intended to discriminate or insult anyone or their culture. We are listening and we acknowledge that there is a problem.We will take the following immediate actions:1) Do our utmost not to take ownership of other cultures2) Change the name of our 'Asian' and 'Celtic' Universes to purely fictional names3) Delete the 'Asian Universe' video, as it insults people (we are sorry this will also delete the comments, but we welcome you to comment on this video, instead)4) Include a variety of ethnic groups in our future marketing material5) Consider our choices of words better in the future, and will not use words like 'exotic' and 'far east. 'Please allow these changes to take effect over time. We require a lead time on work we do here…for instance, new photos we take today will typically go public in 6-12 months.Thank you for bringing this problem to our attention. We have learned a lot from this experience and we will do better moving forward.